The land of Terre d'Ange is a place of unsurpassed beauty and grace. The inhabiting race rose from the seed of angels and men, and they live by one simple rule: Love as thou wilt. Phèdre nó Delaunay was sold into indentured servitude as a child. 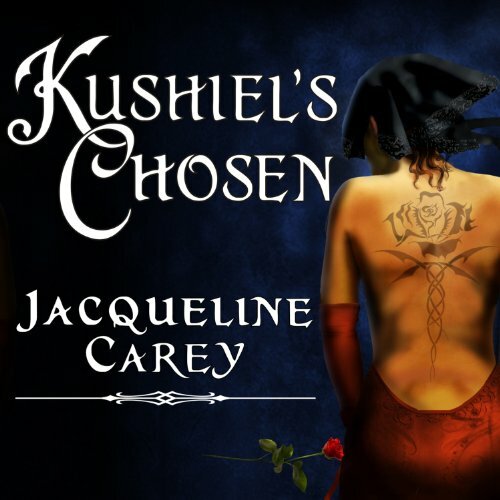 Her bond was purchased by a nobleman, the first to recognize that she is one pricked by Kushiel's Dart, chosen to forever experience pain and pleasure as one. He trained Phèdre in the courtly arts and the talents of the bedchamber---and, above all, the ability to observe, remember, and analyze. When she stumbled upon a plot that threatened the very foundations of her homeland, she gave up almost everything she held dear to save it. She survived, and lived to have others tell her story, and if they embellished the tale with fabric of mythical splendor, they weren't far off the mark. The hands of the gods weigh heavily upon Phèdre's brow, and they are not finished with her. While the young queen who sits upon the throne is well loved by the people, there are those who believe another should wear the crown...and those who escaped the wrath of the mighty are not yet done with their schemes for power and revenge. This is a very long book, too long. However, if you liked Kushiel's dart, this book will satisfy. 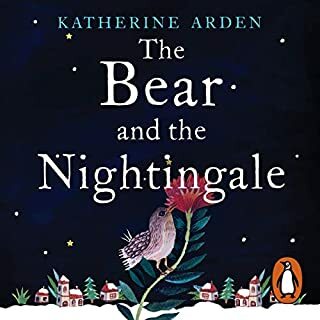 The story has great twists and turns and the narrator is very good. Perhaps even better than Book 1. Note: It is possible to read this book as a stand alone as relevant events from Book 1 are reflected upon in enough detail for a reader of Book 2 to grasp the point. However, I highly recommend reading Book 1 as it is just so damn good! We return once again to the alternate history of Terre D’Ange (France) and the surrounding lands. 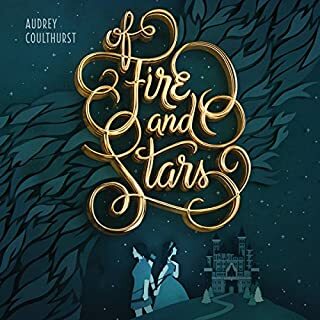 Book 2 picks up several months after Book 1 ended. Melisande Sharhizai is still at large. However, very early in Book 2 our heroine Phedre receives a challenge of sorts from Melisande – her sangoire cloak is returned to her via a carrier from Caerdicca Unitas (Italy) and more specifically La Serenissima (Venice). Phedre truly believes that Terre D’Ange and the queen (Ysandre) are in danger so long as Melisande is free. The challenge sets in motion events that will change Phedre’s life forever. Here we have another masterfully crafted book from Jacqueline Carey. Sometimes sequels aren’t near as good as the first in the series but this series holds it’s own weight as it progresses. I have read this book several times now and this is my second time listening to it. First, I love how the characters continue to grow and how the world continues to expand as Phedre’s travels take her further afield. Second, Melisande continues to make a most worthy opponent. Phedre definitely has her work cut out for her in this book! Once again, we are told the story through Phedre’s eyes. She was raised in the Court of the Night Blooming flowers and being subservient and unseen (expect maybe as a pretty plaything) comes easily to her. She polished off her training in Anafiel Delaunay’s house where she learned history, politics, languages, and how to think in a rational manner. Both served her well in Book 1 and they do so again in Book 2. Yet this journey she comes to understand her powers a bit more – her will power to live, her ability to forgive, her strength to deny Melisande. That which yields, is not always weak (a quote from Kushiel’s Dart). There were two interesting themes that twined throughout the novel: loyalty and grief. Again and again, we see Phedre and other characters having to figure out where their loyalties really lie – with queen and country? To the deities they serve? To family? I think Joscelin struggled the most with this one. Grief made an interesting thread throughout the book. What is a mortal’s grief compared to the grief of a goddess? How do you mourn the passing of something not of a physical nature, such as friendship or love? These were some big ideas to contemplate even as my mind was fully engaged in the day to day decisions of the characters. This time through, I listened to the book as part of a read along. It was a great experience and let me see things about the book I had not seen before. For instance, I had not really noticed before that Phedre is, on occasion, a little bit of a snob. Now I see it in small things and I see how it ties to her upbringing and culture. This in turn let’s me see it in other Terre D’Ange characters. 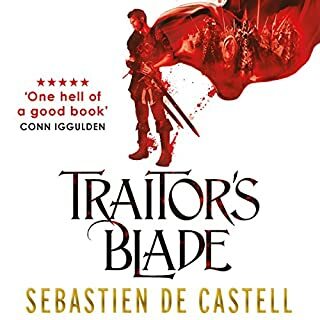 And this leads to a nuanced part of the plot of this book – how Terre D’Ange has been a bit xenophobic towards other cultures for too long and it has cost them in the larger arena of politics. This book (and the entire series) is awesome because you can reread it and take something new away each time. As with Book 1, I was completely swept up into Phedre’s world once again. Jacqueline Carey makes great use of languages to round out a culture. If you’re a bit of a linguistics geek, you will love this aspect of the series. It’s a rich world, a devilishly intriguing plot, and characters you will never forget. Reading it the 7th time was just as good as reading it the first time. The Narration: Anne Flosnik is once again the voice of Phedre, and a great fit she is too! Phedre’s voice is how we experience the story and, hence, Phedre’s emotions come through the loudest. Flosnik did a great job imbuing the characters with emotions, but especially, Phedre. My heart broke and soared for her multiple times throughout the tale! The linguistics keep piling up in this series and Flosnik met the challenge magnificnetly. 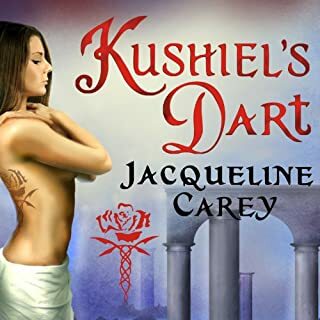 Jacqueline Carey is such a talented writer! What about Anne Flosnik?? ?s performance did you like? I love how Anne Flosnik pronounces all of the names and places. Her accent is beautiful and so smooth. Not your average love story! This is an awesome read! I will tell you that this is not for the average reader and please do not read these books if you do not have an open mind! If you do... This is the series for you! Carey uses reality to weave a wonderfully woven story intermixed with things and ideals of our world into the world of Elua and his chosen. You will love the beauty of Ann Flosnik's voice as she gives life to the characters in this book and series. 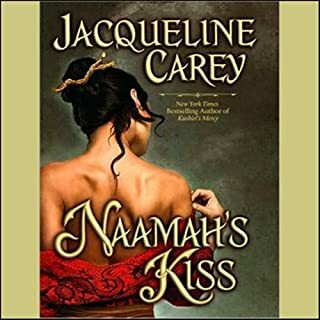 This is book two of 6 in the Kushiel's series and then there is now a Naamah's series and should prove to be as additive to those that loved Kushiel's books. I am now half way through the book. Carey and Flosnik do not disappoint at the very least in the politicking and intrigue of the inner workings of Terre D'ange and its nobles. Carey describes Phedre's pain, despair, and might so vividly. She's also very creative. Entertaining story w/action, adventure, and love. Better than the first. Without needing to spend time on lengthy character introductions and historical explanations, the adventure and excitement came quickly (no pun intended). The mostly unpredictable storyline unraveled at a good pace, with new personalities and themes woven throughout. Overall, an entertaining story with an excellent balance of action, adventure, and love. I enjoyed the second, book more I like more fantasy in a tale as this, that talks about all these unique Gods. I feel the author has a great ability in setting the scene and describing the atmosphere and characters. This book has betrayal, blind trust, stubborn determination, and true love of course. By far, my favourite book series ever! Start at the beginning of this series! This book is brilliant all by itself, but I really encourage readers to start with Kushiel's Dart. Jacqueline Carey has a brilliance that to me, is unparalleled in modern times. She crafts each sentence with an evocative mastery that is breathtaking. And out of her mind comes a parallel world that draws together elements of common cultures in a fantasy that is truly uncommon. 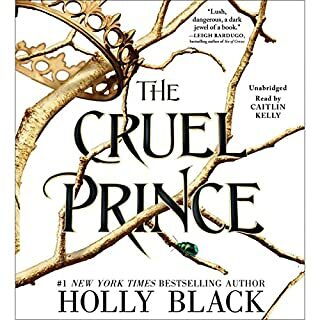 Set aside prejudices and perceptions, and this book will pull you into a tale of political intrigue, impossible love, sacrifice, and the best villainess ever conceived (IMHO!). And Anne Flosknik nails it. I wasn't sure about her as a narrator for my favourite book series, but her performance was exceptional! This book does a good job of expanding the world that it takes place in as well as fleshing out a new story and characters. Love the detailed description and overarcing mystery of the storyline. It's also fun to do comparisons of her world vs our history.